Today, A' Design Award & Competition has released its call for entries to the 6th Annual International Mobile Technologies Design Awards. The International Mobile Technologies, Applications and Software Design Award is looking for design projects from Telecom Operators, Mobile Device Manufacturers, Mobile Application Platforms, Software Developers, Electronics Engineers and Programmers worldwide. The International Mobile Technologies competition is a two-stage accolade. The first stage of the competition is free to join, Telecom Operators, Mobile Device Manufacturers, and Software Developers can register at A’ Design Awards to submit their design projects and get a preliminary score from one of the jury members. Projects that pass the preliminaries can proceed with nomination, however it shall be noted in advance that there is a nominal fee for nominating entries to the A’ Mobile Technologies Design Awards. All nominated entries will be judged by the international panel of 70 jury members composed by both Academic and Professional representatives such as chief executive officers or head designers of companies and faculty heads or professors. 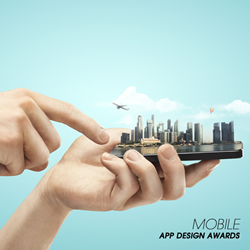 Deadline for entries to A' Mobile Technologies Design Awards is on February 28, 2016. Results will be announced on April 15, 2016. Laureates of the International Mobile Technologies Design Awards will be granted the highly valuable A’ Design Prize which contains a series of PR, marketing and publicity tools to celebrate the winner 2016 status. Moreover, A’ Design Prize 2016 includes Design Excellence Certificate, Lifetime license to use the A' Mobile Technologies, Applications and Software Design Awards Winner Logo, Yearbook of Best Designs, Exhibitions of Awarded Works in Italy, Exclusive Design Award Trophy, Two-Person Invitation to Take Part in the A’ Design Awards’ Gala-Night and inclusion in World Design Rankings list. Furthermore, all the winners of A’ Mobile Technologies Design Awards 2016 will receive an exclusive interview which will be published at Designer Interviews website as well as included in their Winners’ Press Kits.